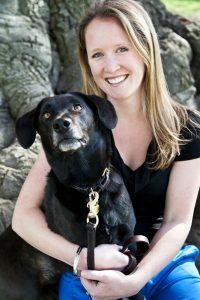 Co-Director: Megan K. Mueller, Ph.D.
Dr. Megan Kiely Mueller is the Elizabeth Arnold Stevens Junior Professor and Assistant Professor of human-animal interaction at the Cummings School of Veterinary Medicine. She is also a senior fellow at the Jonathan M. Tisch College of Civic Life and teaches in the M.S. in Animals and Public Policy program at the Center for Animals and Public Policy. Dr. Mueller’s research interests include pet ownership and positive youth development, animal-assisted interventions for adolescents with social anxiety, animal-based STEM education, and HAI and healthy aging. Her research has been funded by the National Institutes of Health (NIH) and private foundations, and her work has been published in numerous scientific journals and media outlets. 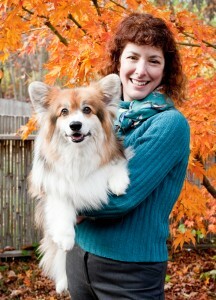 Dr. Deborah Linder is a board-certified veterinary nutritionist, a Research Assistant Professor at Cummings School of Veterinary Medicine at Tufts University and Co-Director of the Tufts Institute for Human-Animal Interaction. She has had articles appear in Eating Well, the Boston Globe, AARP, SHAPE, and XM Sirius Radio Doctor Channel. She has spoken at national and international conferences and a Capitol Hill briefing, and is an expert in pet obesity, nutrition communication, and in human-animal interaction. Her recent research includes the impact of animal-assisted interventions on childhood obesity and child literacy. 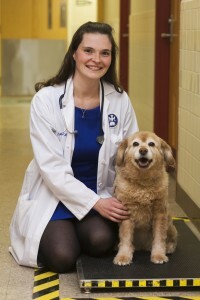 Dr. Freeman is a board-certified veterinary nutritionist and is active in teaching, research, and clinical care of patients at the Cummings Veterinary Medical Center. She enjoys working with faculty, staff, and students from across the university through the Tufts Institute for Human-Animal Interaction, the Tufts Elephant Conservation Alliance, and the Tufts CTSI One Health Program. In her spare time, she visits eldercare facilities and student stress relief events (including at Tufts) with her registered therapy dog, Penny.